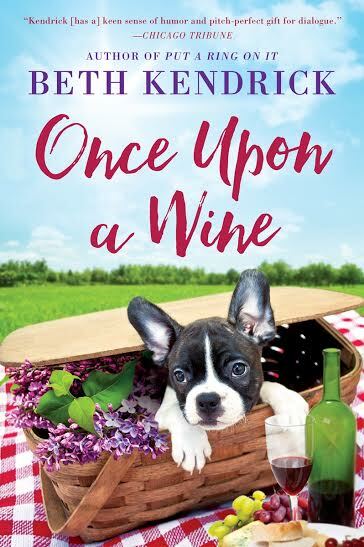 Beth Kendrick's Black Dog Bay novels never fail to entertain and make us smile, so we're excited to read her latest, Once Upon a Wine. And who can resist the cute dog on the cover of this one?!? Thanks to Penguin Random House, we have a copy to give away! Some fun facts about Beth, courtesy of her website: She's a Leo, a middle child, and a formidable Trivial Pursuit opponent. She reads everything she can get her hands on, from the classics to comic books. She doesn’t drink coffee (something she has in common with Melissa A, along with her favorite Girl Scout cookie...which you'll find out about soon). Beth lives in Arizona in a very cute fixer-upper that she bought in a burst of totally delusional, can-do confidence. And finally, she has two large dogs (possibly Rhodesian Ridgebacks) named Roxie and Friday. 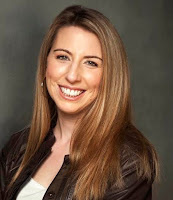 Visit Beth on Facebook and Twitter. Beth is here to celebrate her pub day and play Loaded Questions with us, so let the game begin! Cammie Breyer needs a big glass of cabernet—her restaurant failed and her chef boyfriend left for a hotter kitchen. Just when she thinks she’s hit rock bottom, her Aunt Ginger calls with a surprise. 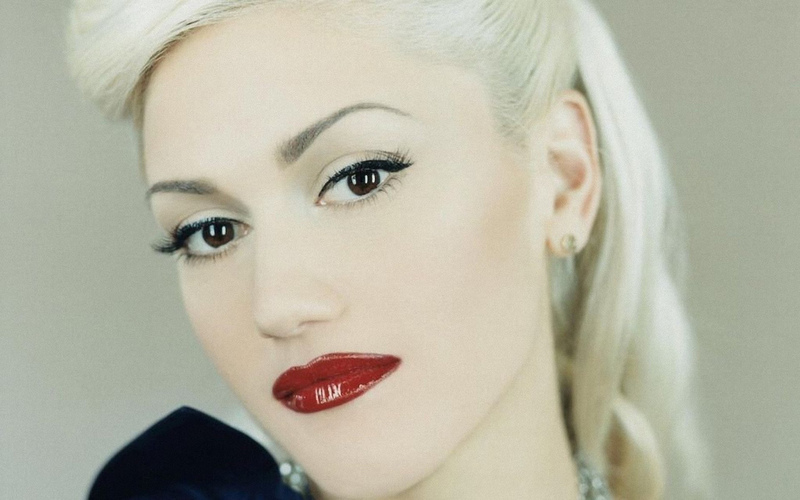 She’s bought a vineyard—in Delaware. At Ginger’s command, Cammie returns to Black Dog Bay, the seaside town where she spent her childhood summers with her aunt and her cousin, Kat. Thin Mints, always and forever. Giant, ungainly dogs trying to sit on my lap and leaving fur all over my black pants. It’s what I’m used to! What movie should have been a lot funnier? In order to answer this question, I would actually have to go to a movie, which hasn’t happened in…um…wait, hang on…carry the three…a really, REALLY long time. (Deadlines, single parent, etc.) The obvious solution is for me to throw caution to the wind, go to a theater--preferably one of the swanky ones with leather recliners and cocktails--and report back next week. If you could give anyone a big hug, who would it be? If you were to change your first name, what would you change it to? What is way too dangerous for you to even try? Starting to watch a new TV series (like oh, say, “Bloodline”) when I’m on deadline. I’m not really known for my self-control, so the result would inevitably be binge-watching, a word count of zero, tears, desperation, and excessive Thin Mint consumption. Ask me how I know. Thanks to Beth for visiting with us and Penguin Random House for sharing her book with our readers. Giveaway ends July 31st at midnight EST. I love Tagalongs/Peanut Butter Patties. So good! I like the thin mints. Put mine in the frig. Thin Mints for me, too! The two favorites have always been the Do-si-dos and Samoas. I also liked the Juliettes which has been discontinued. My youngest loved the Thin Mints, and my husband likes the Trefoils. I haven't had Girl Scout cookies in years, but I used to love Thin Mints. My favorites are Tag-A-Longs! Then Thin Mints! I sold Girl Scout cookies many years ago!! My favorite are the Lemonades, followed by the classic, Tag A Long! 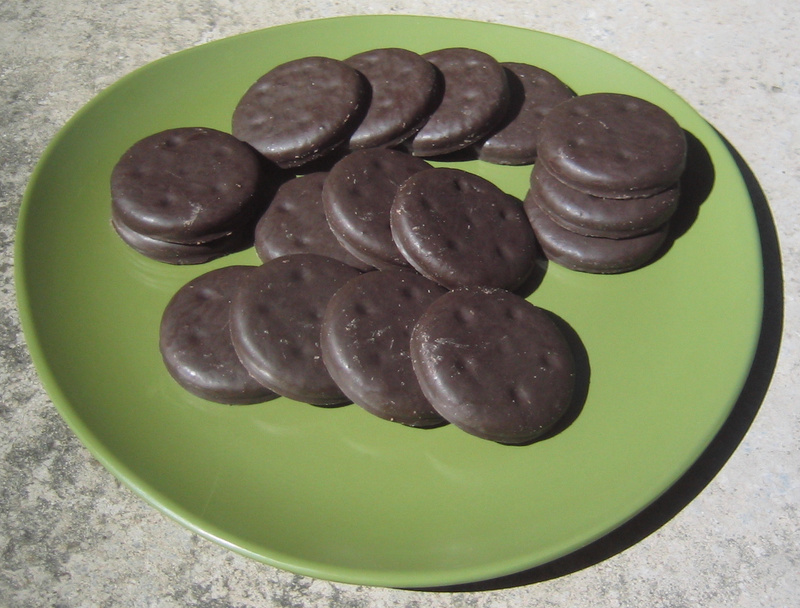 Thin mints or Peanut Butter sandwich cookies (can't remember name). We don't get them here, so no favorite. Thin Mints... are there any other kinds? ha! I tried some new thin oreo mint cookies last year that reminded me of my fave Girl Scout cookie, the thin mint. They were good but I haven't had Girl Scout cookies in many, many years. I love the peanut butter sandwich cookies and the thin mint cookies. Oh goodness. It's gotta be the Caramel Delights (i think they are called Somoa's in some areas?) They are so good!! I enjoy most all the flavors but it always comes back to the Thin Mint! Thanks for the giveaway.